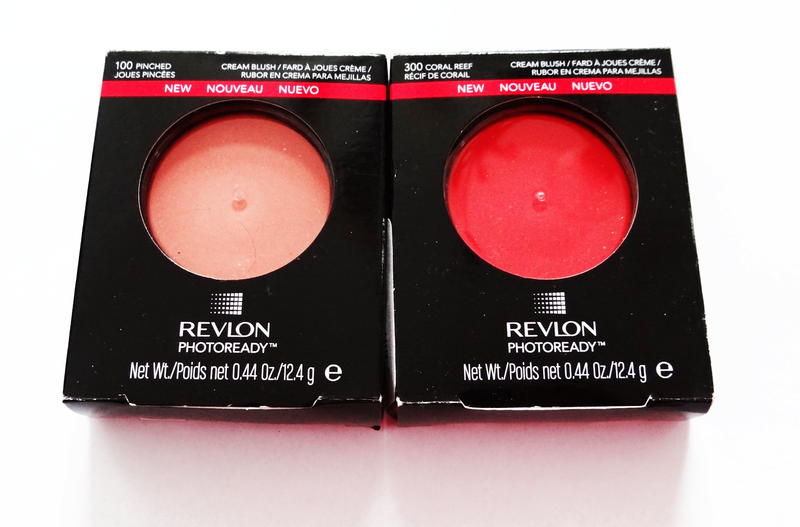 These Revlon PhotoReady Blushes were released in the Summer 2012 collection. They're $12.00 CDN but I got them for $6.99 CDN. They're now part of the permanent collection so they can still be found if you weren't able to get them during the summer. It comes in three different colours: Coral Reef, Pinched, and Flushed (cool pink). I was only able to find Coral Reef, and Pinched. I saw this during the summer but found the $12 CDN price tag a bit expensive. Last month I dropped by Winners and found these two for $6 CDN each so I had no excuse to buy them. 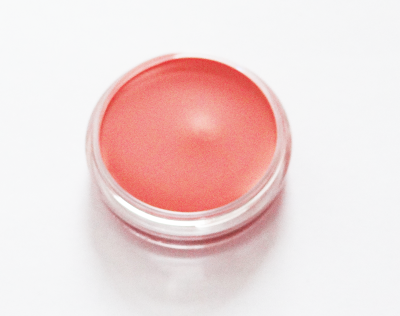 I love cream blushes because I have dry skin and cream blushes don't dry my face. 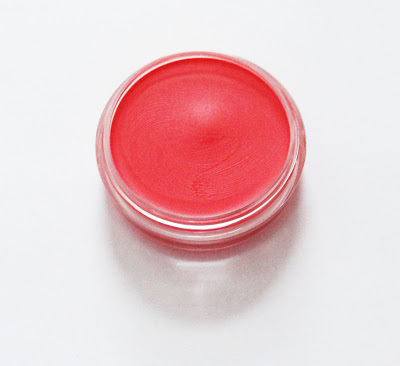 The only problem I've found with the cream blush from MAC that I have in the color Florida, is that the hairs from my brush falls and sticks to the cream blush. I don't like using my fingers because I find it so unsanitary. I might just have to use a different brush. These blushes come in a clear jar which a lot of said remind them of the Bobbi Brown Pot Rouges. I've never tried or seen them so I'm not sure. But I do love the packaging. It's small and are easy to open with a screw on lid. Pinched is a pale peach color with some gold shimmer. 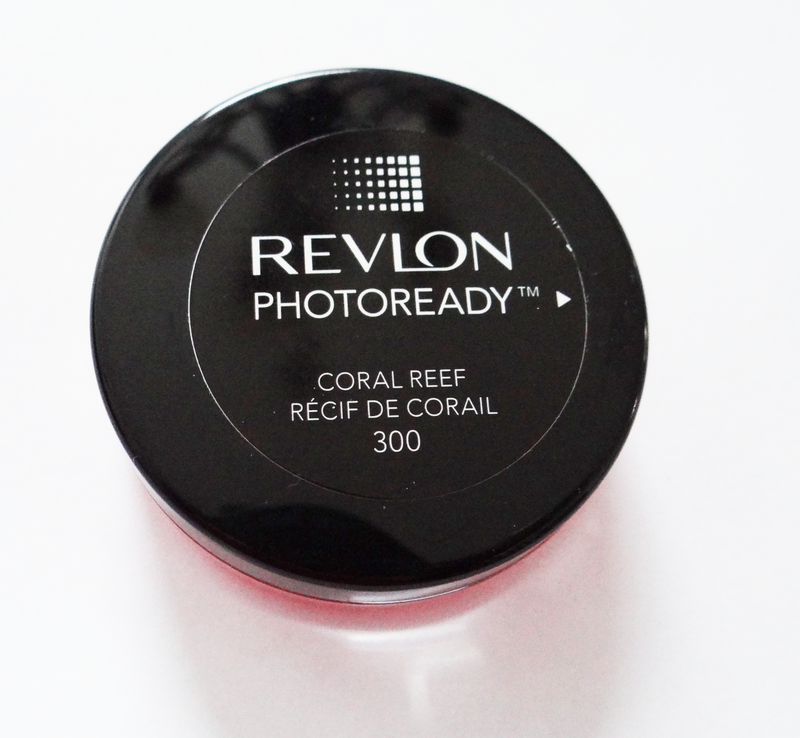 Coral Reef is a bright hot red colour. 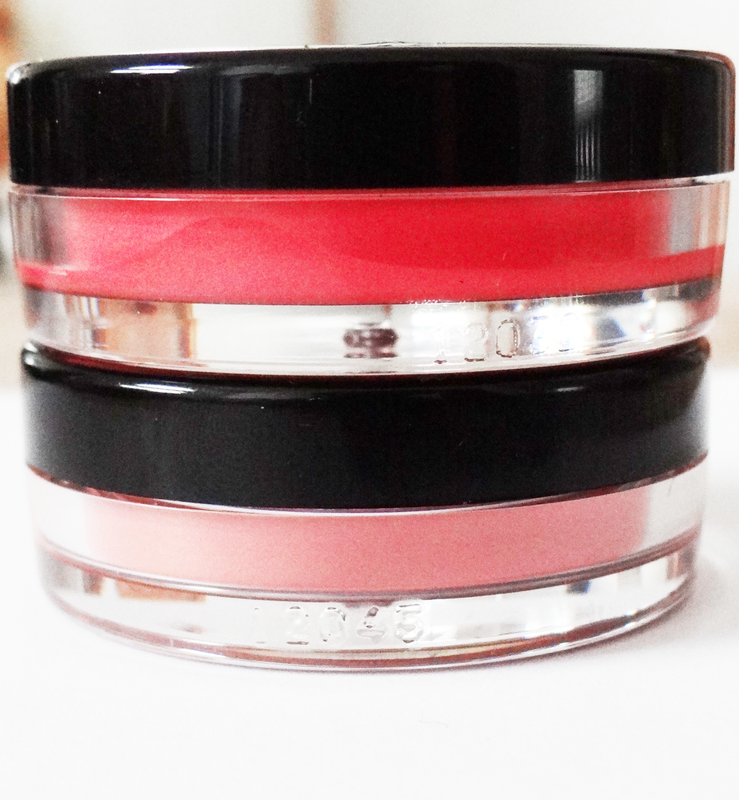 These blushes are creamy and go on smooth. 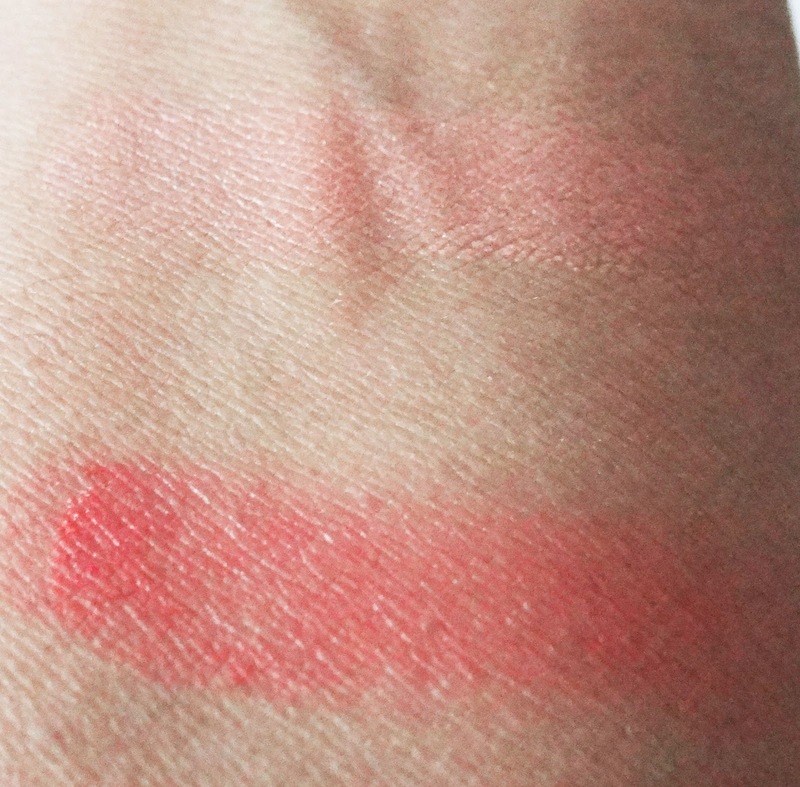 The lasting power of these blushes is most of the day with some fading towards the end of my day. It gives you a natural finish and is not sticky or greasy. 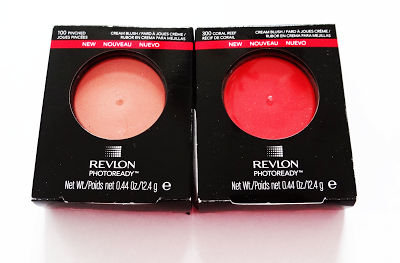 It's easy to build on for a brighter color. They're quite pigmented with a swipe. 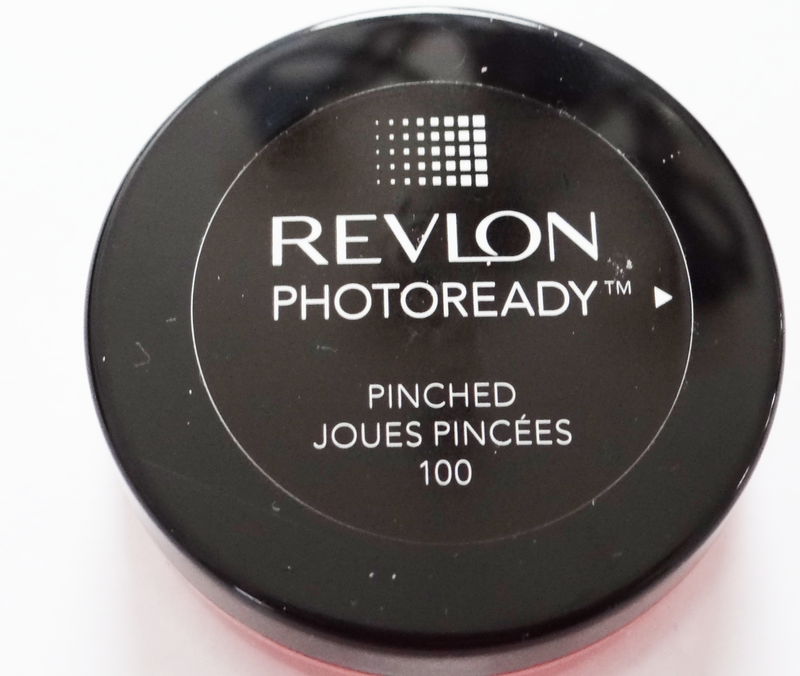 When I first read reviews about these a lot of people said that the pinched would be better for lighter skin tones but I decided to try it out. 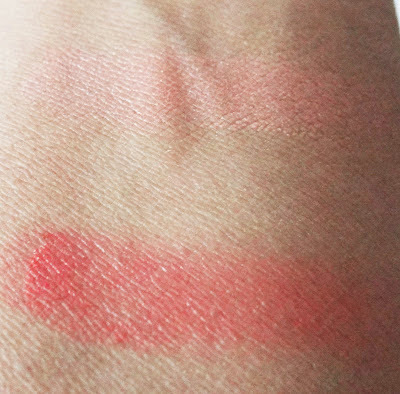 I love these blushes and hope that they have more colours. Have you tried any of these colours? What did you think?